Mrs. Vanessa Ann Brown Perkins, the daughter of the late Jerome Brown Sr and Elizabeth Charles Brown, was born January 4, 1958. She transitioned into eternal life on Friday, February 1, 2019. Vanessa was educated in the public schools of Florence County and graduated from the first graduating class of South Florence High School in 1976. Besides her parents, she was preceded in death by her husband Andre Perkins and a brother Michael A. Brown. Vanessa was a member of Maxwell Baptist Church. She loved cooking and visiting neighbors and friends where she earned the nickname, "Queen”. She loved dressing up in her African attire. She was always laughing and cracking jokes. One of her favorite quotes for every situation was, “ It ain’t that serious”. 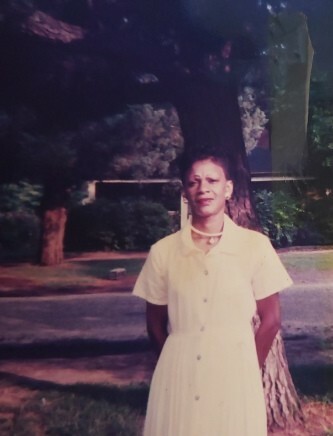 She leaves to cherish her precious memories: one daughter Arista (Anthony) Brown Sellers of GA. Five grandchildren; Specialist ( Keybrenna) Lavandrich Scott II of Ft Meade, Ava Sellers, Alexia Sellers, Anans Sellers, and Anthony Sellers all of GA. Three sisters; Janice Cooper, Viola Brown, and Cynthia Brown. Two brothers; Jerome Brown Jr and Steven ( Vertrina) Brown. Three aunts; Evelyn Hunter, Thelma Charles, and Mary Charles. One uncle; Fred (Rolena) Brown Sr. Two nieces, four nephews, and one very special niece , Africa Cooper and a host of other relatives and friends.